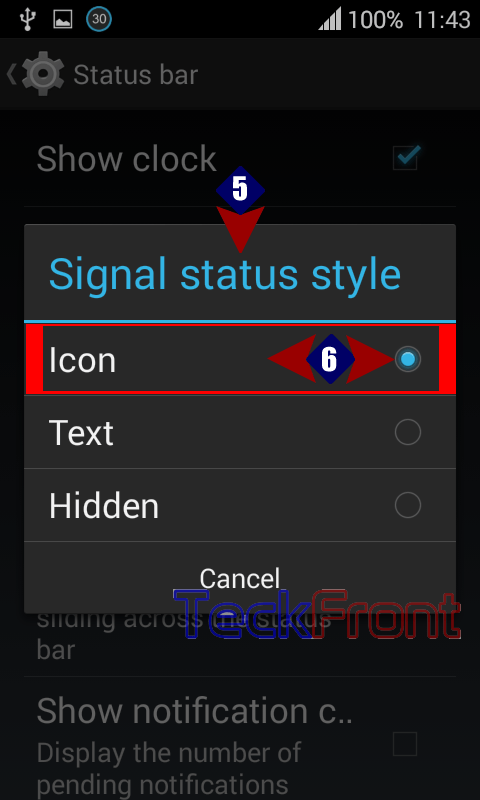 How to Change Signal Status Style to Text in Android KitKat 4.4 Phone? Signal status in the status bar is such a thing about which all the smartphone users remain conscious. Normally, it is displayed in iconic form.Whenever, status changes, the smartphone is required to be taken to that position where the signals are stronger ones. Decision of weak or strong signals is done by just looking at the iconic form. But, if the signals are changed to the text form, the judgement of weaker or stronger signals is much easier and rather objective. 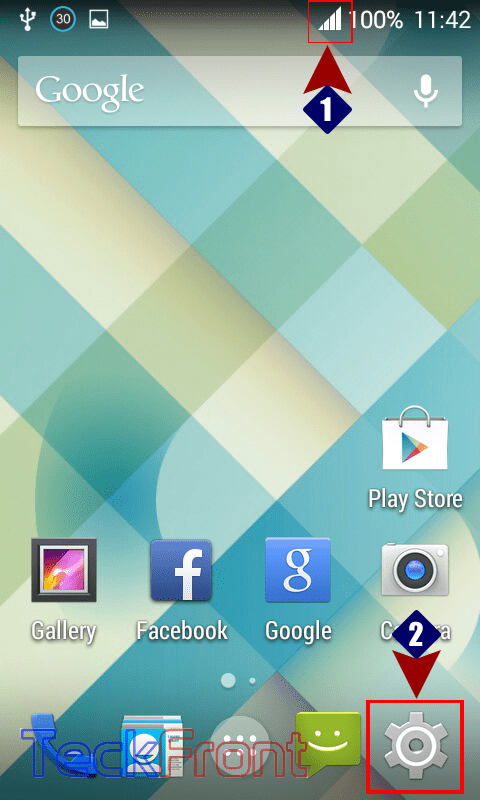 1: See the ‘Signal status style’ is iconic in the Status Bar. 2: Tap the ‘Settings’. 3: Tap the ‘Interface’ in PERSONALIZATION. 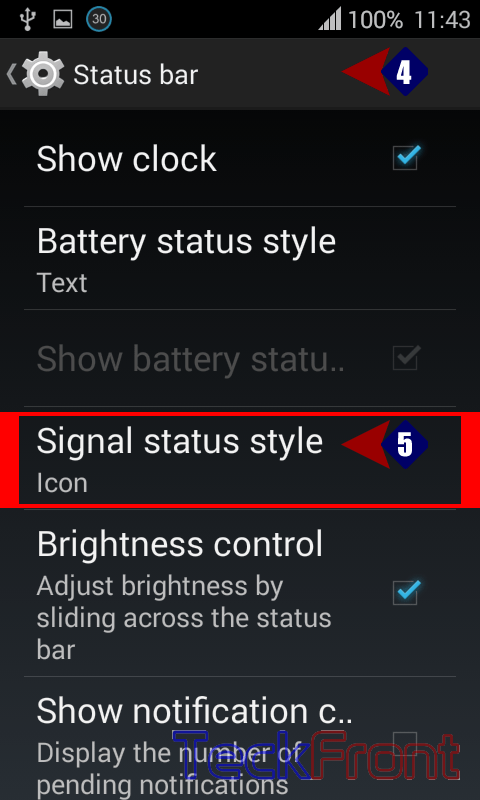 4: See the signal status under the ‘Signal status style’ is ‘Icon’. Tap it. A prompt will open up with 3 option buttons. 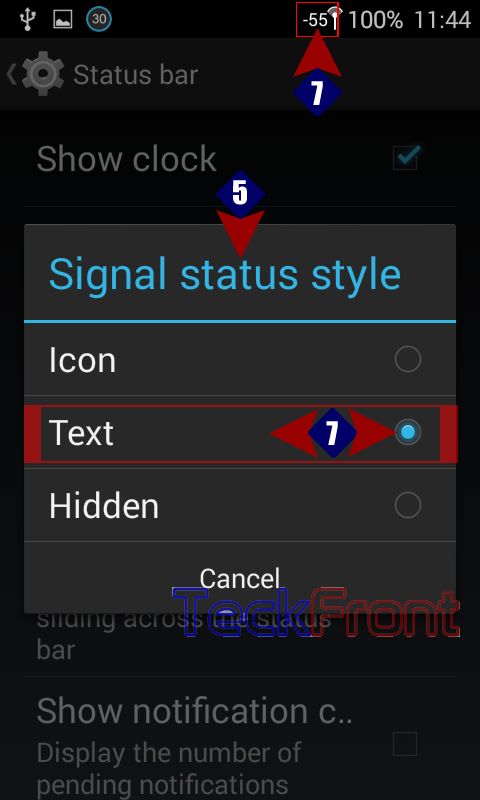 5: See the ‘Signal status style’ is ‘Icon’ while the 2 other items, ‘Text’ and ‘Hidden’ are not selected. 6: Tap to select the ‘Text’. See immediately after the change in the style, signal status is also changed to text. That’s all! 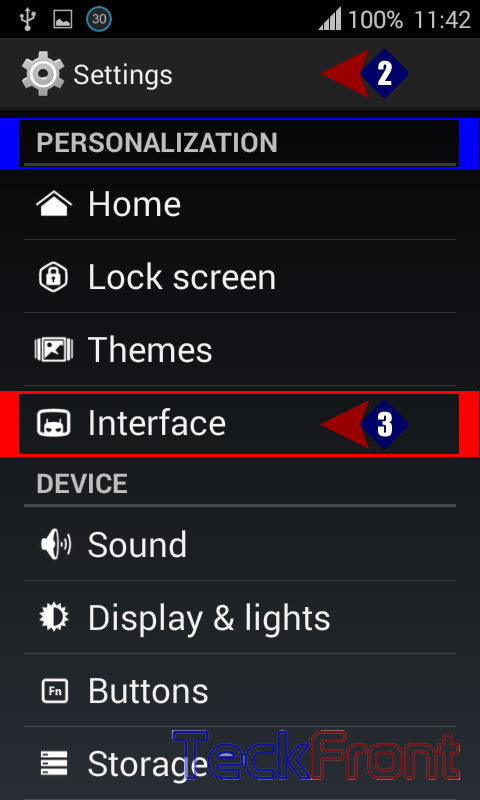 Newer How to Set Most Suitable Picture Size for Your Camera in Your KitKat Phone? Older How to Show Battery Status Style in Text in Android KitKat 4.4 Phone?